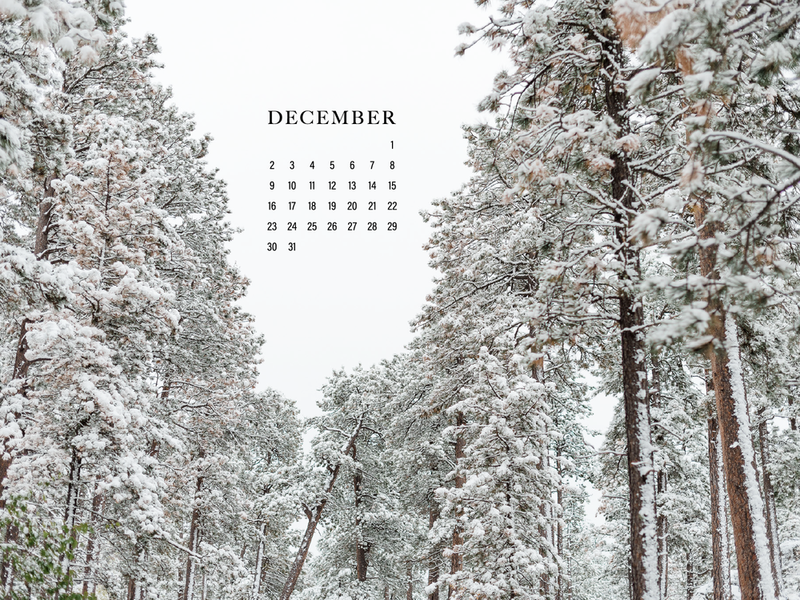 We are walking in a Winter Wonderland with this months Desktop Calendar! The time has come to put up the tree, hang the stockings, and write our letters to Santa! Day dreams of snowflakes and sugar plums dance in our heads as we sip hot cocoa and do our work by the fire. What a rough life we have, huh? This calendar is sure to bring you all the cozy, snowy vibes this holiday season!